As you know UC and I were together last weekend and part of this week which gave us plenty of opportunities to take you out and show you other areas of LA that you haven’t already seen and that’s saying something cause you get around a lot in my bag! 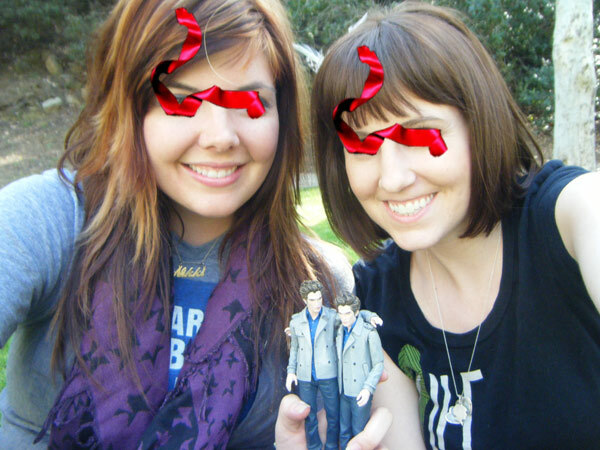 The other great thing about UC visiting was that she brought her Lil Edward and you two go to meet!! 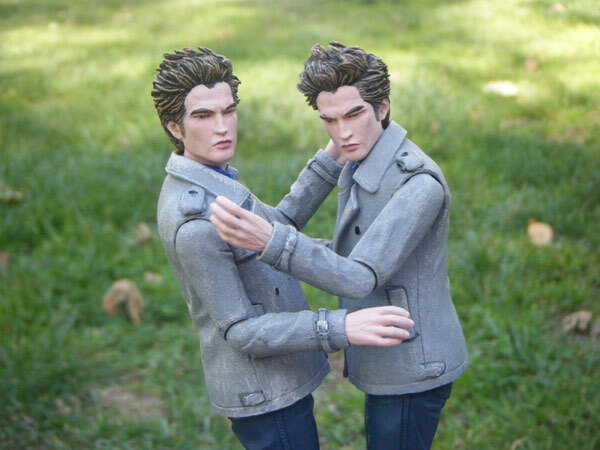 Long lost brothers together at last! 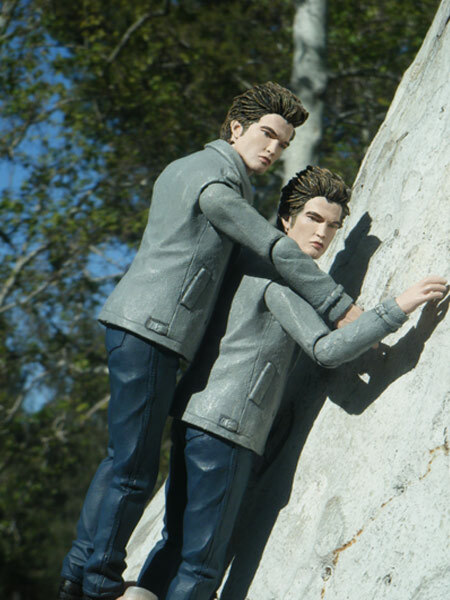 We were having so much fun together you two decided to take us to Griffith Park the real like site of Edward’s Meadow and indulge our fantasies a little by acting a few crucial scenes out for us… you boys are too good to us! Stay tuned for more scenes from our radical weekend together! “And so the Lion feel in love with the Lamb…” in Edward’s Meadow, aka Griffith Park between the screaming kids on the playground and the old dudes on the golf course. But sshhhh we won’t tell! 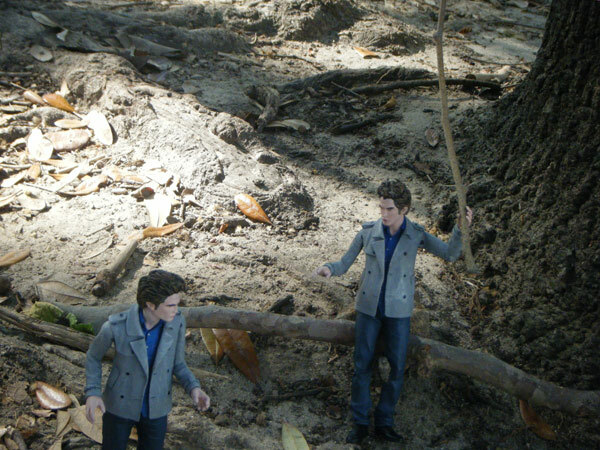 After we pried you two apart it was time for a family portrait in the meadow. Coming soon… sprinkles… robertson blvd… santa monica pier… THE WORLD! Oh and our very first video. EVER! 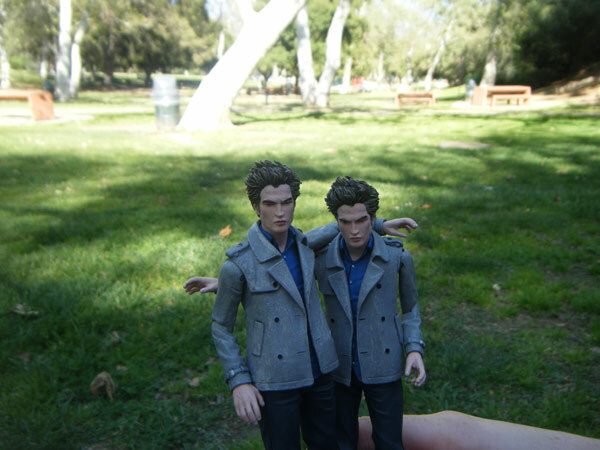 PSSSSST: if you wish we’d throw you on our backs like a spider monkey don’t forget to vote for LTR as the Best Rob Fansite (as if there’s another!!) at the Dazzle Awards. 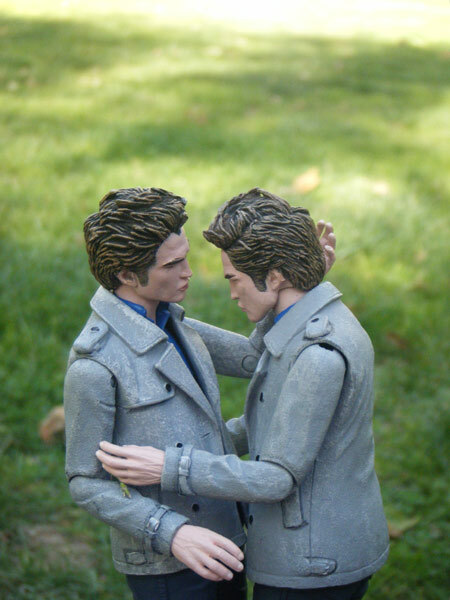 All you gotta do is scroll down to “Best Rob Pattinson Fansite” and vote! Simple! 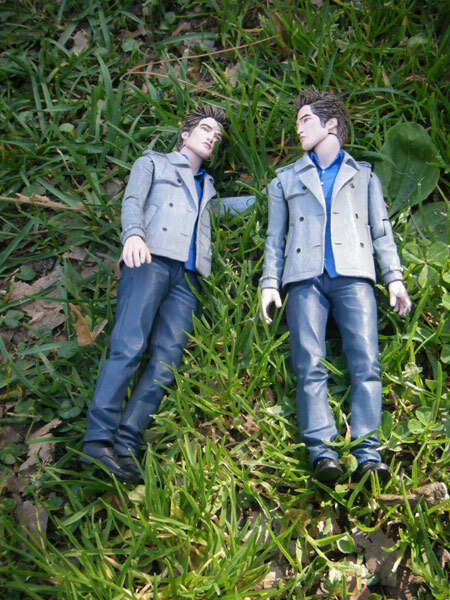 Posted in: Rob, Where in the world is the Edward pillow/action figure?